Well, I’ve gone and done it. I finally recorded another podcast episode! Today, I share a discussion between Perrin and I on the importance of being unique with your business. In particular, we have a more in-depth discussion about being the ONE, as I wrote about in my last blog post here. This is an interesting topic that may seem pretty obvious to some people, while others may be completely oblivious to the subject. In my opinion, to build a defensible business that can stand the test of time, that business needs to be doing something unique. Overall, it was great to get back behind the microphone and share some of my thoughts on the podcast! I hope that you will give this episode a listen and let me know your thoughts in the comments section below. 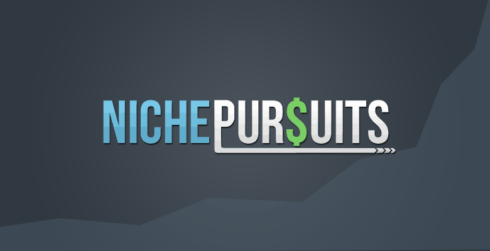 Also, if you found this podcast at all useful, or you would simply like to give me a “thumbs up” for the Niche Pursuits podcast in general, please leave a rating on iTunes right here. Finally, stay tuned for my next blog post…I’ll be covering my new Amazon FBA business in depth. I’ve only been selling for about 30 days, but the success is honestly starting to blow my mind. I’ll give you the inside scoop in a few days. I am unable to hear the podcast on my PC nor can I download them for listening on my tablet. Please help. The podcast appears to be working…not sure why your PC is having technical issues. Good to hear the new podcast! 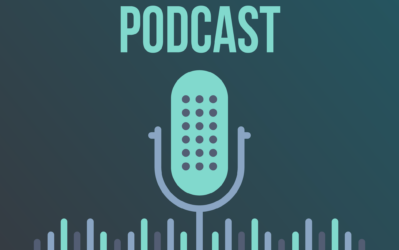 Hope you guys see the value in the podcast and blog as a resource to your audience (and maybe an indirect revenue source for your business ventures as well). It seems like there is a lot of buzz from you guys and others – a big proponent being Chris Guthrie (though he seems to focus on private labeling which you have said is not unique enough) – in regards to sourcing products and selling directly through Amazon. That’s awesome to know about the opportunity there, but it does feel much more distant from someone like me who is still gaining experience building websites for myself and for others, without a ton of cash-flow or experience, to go the route of sourcing from China and selling an original product through Amazon. Learning the steps and building a niche or authority site seems more manageable to me anyway, but maybe it’s just not as worth it as it was a couple of years ago? I guess what I’m getting at is this: would you encourage your audience to maybe still find the right niche to target, build a niche or authority website around it (keyword research and knowledge of that niche) and THEN work on creating a unique product to sell through Amazon, even if that’s a year or two down the road? Or would you skip building websites, etc all together and just focus on the Amazon part of the spectrum? I do indeed see it as a valuable resource…thanks for the “thumbs up!”. I don’t have one recommendation for everyone. Some people are full of great ideas and they will come up with a unique invention. For those people, they should pursue that. Others might have money that they can invest in manufacturing and selling lots of products; perhaps those people should do that. If you don’t have any unique ideas, then niche sites is something you can do until you do have that unique idea perhaps. I know people want an exact road map to follow, but I don’t have one. Just figure out what business is best for you personally, and go for it. Niche sites are still awesome! They’re a great way to start, and they can still be a good business in their own right. And really, I don’t see much of a difference between “niche sites” and authority sites (this is something we’ve discussed a bunch on NP)–I look at them more like the beginning stages of a business. For example, I just started what most people would call a niche site recently. I’m writing about niche topics with small search volume so I can rank easier. However, as it grows, that money will be reinvested and used to add more traffic and revenue streams. If I do sell physical products on Amazon (I plan to at some point), I’ll use my site to both fund some inventory and to push those products (so, to answer your question: you can do both, and they can compliment each other). More importantly, though, I have a plan for how I think I can be “the one” (i.e. market myself differently/from a different angle than the other people in the market). In other words, you don’t have to be disruptive, you just need an angle, and you can find ways to differentiate yourself whether you’ve got a small site, big site, Amazon product, or all three. Wise words from Perrin here! Thank you both for continuing to blaze a unique path in this field and always taking the time to give some valuable insight back to the rest of us. What I’m understanding from both of your comments is that niche sites (and authority sites, moreover) still seem to be a good stepping stone to understanding a market, providing value to others and maybe even creating a product that would be welcomed and well-received by that market’s audience. 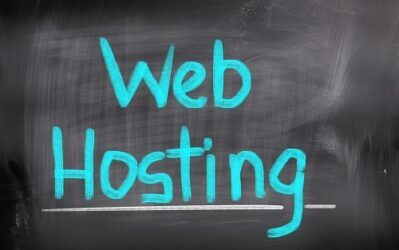 Plus, having some cash-flow as a result of cultivating any website is always a good thing, especially if the goal is to create a product and spend on the development and marketing investments. Perrin, thank you for also giving bullet points on the differentiators; very helpful! Yep, they can indeed be a great stepping stone…and for a few may indeed become a great long term business. I just want to emphasize that a business is more likely to take off and become larger if it has some unique aspects. I completely agree. In fact I was going to write a similar comment but suppose I don’t need to now. 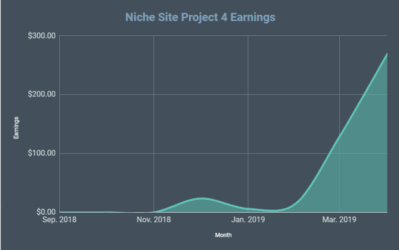 I think starting with a niche site mentality is good and if you want to learn the whole make money online thing I think it is the place to start. Choose and Amazon product and run with it and build a site around it. You’ll learn so much. If things take off try getting hold of real products and doing real testing and reviews with videos etc. Then if this does well you can start moving beyond Amazon and promote other companies products or work direct with a manufacturer (I did this and moved to a 15% commission level which was great on a £600 physical product). 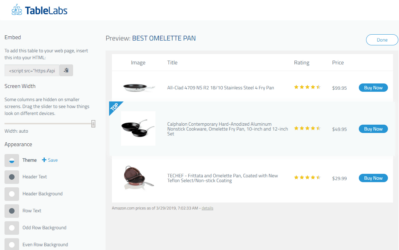 Next you can even look at sourcing your own product and selling it direct or via Amazon, so kind of a cross over to the popular Amazon businesses people are starting now. Listened to the podcast and read the blog post. Thanks for this and I think it’s great. Really got me thinking. It is true that niche sites are not a business, but they can be a stepping stone that might be a lot helpful in the process of creating a business. I’m also in the niche site building stage but I still found this podcast extremely informative. Spencer, could you elaborate more about the start up cost and amount of leg-work that has gone into creating and having your unique product manufactured. Scott, the up front investment of both time and cost is really low. I spend about $1,000 to have my first batch manufactured. I sent several emails to manufacturers and logistics people, but that was about it. I’ll be writing a much more detailed post later this week that goes over my first 30 days in the FBA business. Just catching up on your new podcast. Was so excited when I saw this in my Inbox. I really miss it when I don’t get to hear you guys. I always read the blog, but really love the podcast. Thanks for more great information! Thanks Kim for the feedback…glad you enjoy hearing our voices so much! Hi guys, Maybe it’s just me, but it sounds like you’re getting a bit subjective Spencer. allthough i do understand and agree with your point of being unique is the ultimate way of being succesful, i think it’s very rare to come up with a new invention. I think you are one of the relatively few that wére lucky enough to “stumble”on a great idea that is unique enough to actually stand out from current competition ( in your case improving a keyword research tool) That just wont happen for most people. i think most businesses are relying on marketing yes, but i think that that’s the case for the majority of bussiness period. That’s just what most of us mortal souls have to do to run a bussiness. Don’t get me wrong, i’m not saying a disagree with your point of trying to be “the one”, but do you really think that duplicated bussiness like an authority site earning money with adsense and amazon are really not worth your time or sustainable….? Loved to hear another podcast from you 2 again btw, thanks. Hey Higgins, you are right…in some cases I’m walking a tight rope with the examples. I DO think that most people can come up with unique features or ideas. Coming up with revolutionary ideas, probably won’t happen for most people. But coming up with unique features is well within the realm of possibility. 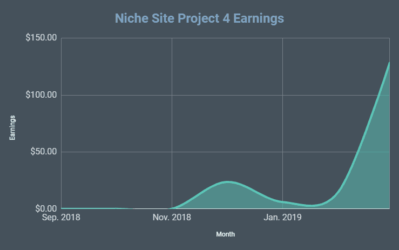 I don’t mean to say that building a site monetized with affiliate income is not worth you time; I just meant to say that it could be harder to stand out from the crowd. You CAN build a real business from these types of sites, it just might take more time and marketing efforts. Wow, thanks Jacob! I appreciate the sincere statement of gratitude. I love hearing back from readers and listeners…I appreciate the support! No transcript on this one. Spencer, Awesome Podcast as always. Just a quick note to say a very big thank you for the incredibly valuable content you produce. Currently trying to get my own niche site off the ground, my first one. Unfortunately it’s not going particularly well but I’ve learnt so much from your webpage – if only I had found it earlier! Although, again, I find this ‘be the one’ type post inspirational – I’m not convinced yet that it is eminently ‘practical’ for the average person aspiring to ‘try something online’. This post closed the gap, slightly, on ‘inspirational to practical’ – but there’s some way to go. I’d also like to know how ‘Long Tail Pro’ is so defensible? Surely someone with a wad of spare cash (or tech ability) could conjure up a ‘longtailpro +1’ – especially now they appreciate how much it is earning you? ‘Be the one’ businesses can be defended from ‘amateurs at home with a bit of time and a computer on their side’. But suddenly you’re a target for more serious businessmen, surely? No business is immune to competition, so anything is possible. However, I’m just trying to make the simple point that having a unique strategy or feature for your business/product is a much better way to build a longer term business than one that is a near exact copy of other businesses out there. This interests me very much. I own this Twitter >> @acneskinsite I’m the #1 acne/skincare twitter in the entire world by a long shot. I can easily make money promoting products (acne,skincare,beauty,detox tea etc) BUT i get mad b/c all I’m doing is building up someones website/product/biz and not mine. I really really want my own product. I have thought long and hard about making an Ebook, but I’m not sure if i should sell it on amazon or on my website, and allow others to affiliate it etc. My Main Issue >>> I’m not a marketer!! I didn’t created this twitter from things i learned online, i did it mostly for fun. The really funny thing about this twitter account is now that I’m #1 i go back and read “the so called viral/popular posts on how to grow your twitter account” Sorry to say this its all wrong LOL. There isn’t a single post i’ve come across that reveals how to grow the twitter account the way i did. I guess this is good b/c its why I’M THE ONE. Spencer i’m going to follow you on twitter to prove i own this account, and maybe we can further discuss some potential partnerships. Sounds great Kyle! Glad you are crushing it as an affiliate. Just goes to show the importance of trying to stand out and do things differently.